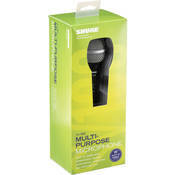 Shure SV200W Dynamic Cardioid Microphone With Cable The SV200 delivers crisp, vibrant sound optimized for lead and backup vocals or high-quality speaking presentations. It features an on/off switch as well as a dent-resistant grille for years of dependable performance. Also includes a handy XLR-XLR cable. 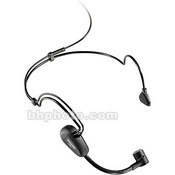 Features: Excellent sound quality. On-Off Switch Durable cable with XLR to XLR plug for use with home or portable recording systems.